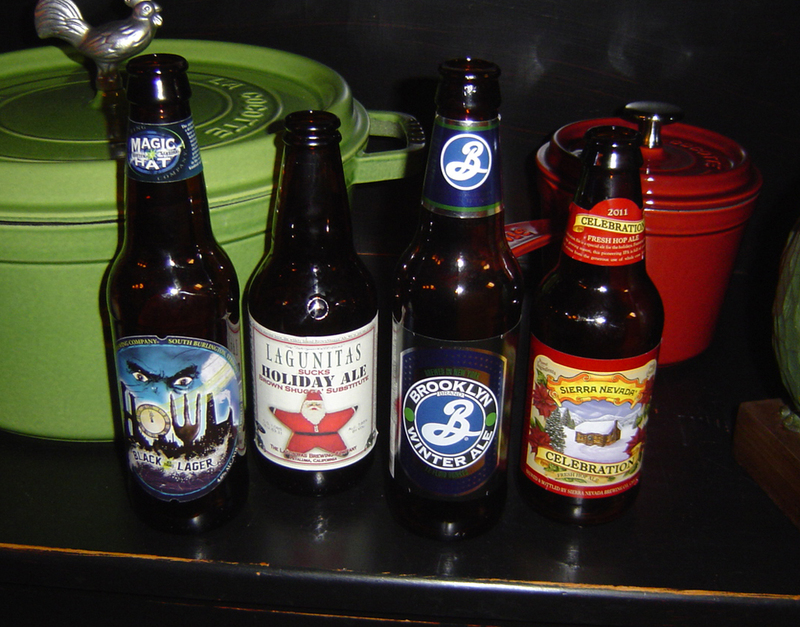 Well, it's a little late in the season to find holiday beers. 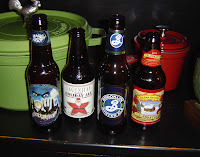 And since my decision to try a beer a day came at the last minute, I didn't have much of a chance to stock up. So it looks like this is it for the holiday/seasonals. On to the IPAs! My preference in beers leans towards IPAs, so it's their time. I am going to sample only IPAs for at least a couple of weeks. 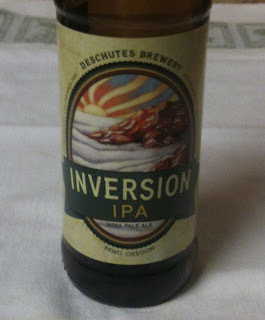 I will start with an Inversion IPA from Deschutes Brewery. Their web site lists the IBUs at 80. The twelve ounce bottle shows 6.8% ABV. This IPA poured with a fairly thick head. It was a nice golden color, with a tinge of orange. Somewhat cloudy from bubbles and sediment. The aroma was very mild, and of hops/citrus. 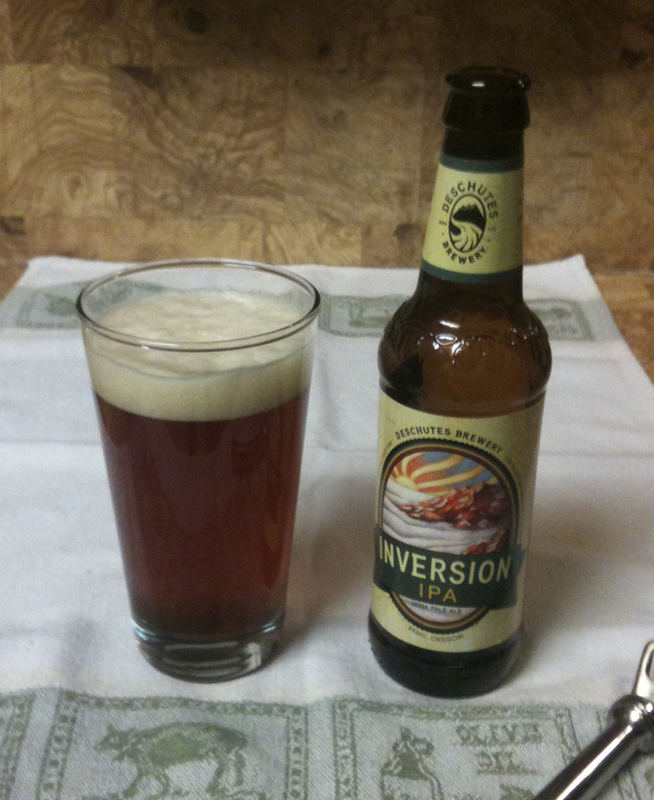 The Inversion is pretty high on the flavor strength scale, with a strong taste of hops and citrus. Nice bitterness, but not overpowering. The aftertaste seems fairly mild, considering the strong flavor of the beer, and fades quickly. This is why I like IPAs!